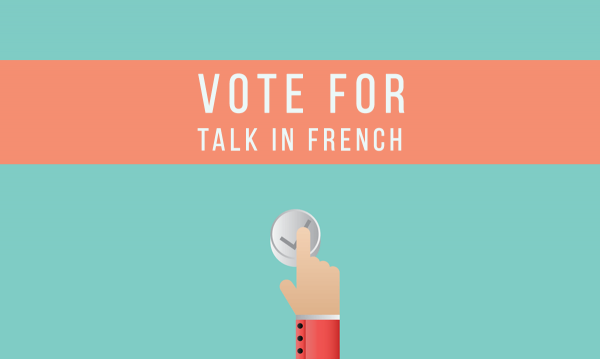 Vote for Talk in French in the 2016 Best Language Learning Blogs! Bonjour, tout le monde ! Bab.la and Lexiophiles’ annual contest for the top 100 Language Learning Blogs is here again. Last year, Talk in French placed at #4 and ranked highest among French language blogs. In 2014, Talk in French was at #6. 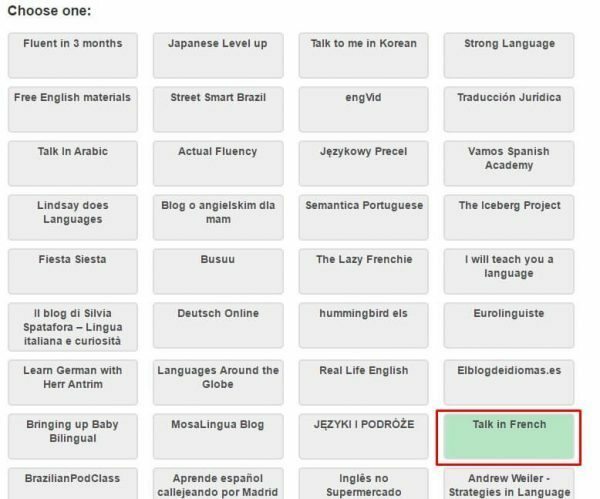 This year, Talk in French has been included in the shortlist once again under the category Language Learning Blogs. With your help, I hope to make it to the top 10 once more. Voting is very simple. All you need to do is go to the link I gave above, look for the button marked Talk in French, and click to vote. The voting phase is from May 19th up to June 6th only. After that, bab.la and Lexiophiles will choose the winners based on their internal criteria (50%) and from your votes (50%). Scroll down to the Talk in French button. Click the button to vote. You should see a confirmation there that your vote has been counted. Voting is super easy. It doesn’t require any logins or email addresses, you can vote using any device, and the entire voting process would only take up a few seconds of your time (and a couple more to share on social media). But—I would totally appreciate it SO MUCH from the bottom of my heart.